Atlanta, 미국의 미 까사 - 애틀란타, 조지아 | 호스텔월드에서 예약하세요. You will access to the kitchen, common area and laundry room. You will also have access to very large open backyard. Great place for family reunions or parties. And there is enough parking for 2+ RV's. 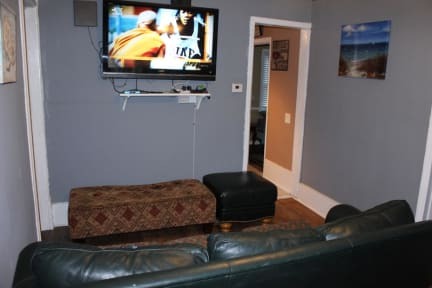 Only a few miles from the center of downtown Atlanta and 20 minutes from the airport. 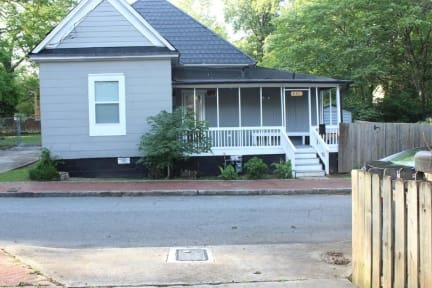 The house is located about 3 miles south of downtown Atlanta, Georgia Dome, Phillips Arena, and GTech Univ, Lakewood Amphitheater, and walking distance from the new Georgia State University Football Stadium. There are only a couple of restaurants and places to hangout within walking distance of the property. The Marta bus-line is within walking distance. The nearest Marta station is about 2 miles away. Uber and Lyft is the best way to travel. The property is located a few miles south of downtown Atlanta in historic Mechanicsville. The neighborhood is in currently going through a re-development.Mechanicsville is an up and coming neighborhood slated for tremendous growth that is rich in history and cultural diversity. Mechanicsville is one of the oldest neighborhoods in Atlanta. With more people looking to move back to the city, developers plan to revitalize and re-grow the area. We ask that you maintain an open mind; as well as, a sense of situational awareness during your visit to Atlanta. All guest rooms are private and each guest will have access to the common areas, kitchen, laundry room and TV room. Some rooms have private bathroom and some share a bathroom. Our rooms are always clean and fresh with linen and towels included. Cleaning fee not included-35 USD/room, charged once during the stay.